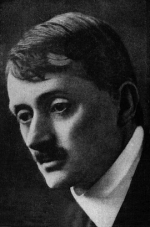 John Edward Masefield, OM was an English poet and writer, and Poet Laureate of the United Kingdom from 1930 until his death in 1967. He is remembered as the author of the classic children’s novels The Midnight Folk and The Box of Delights, and poems, including The Everlasting Mercy and Sea-Fever. A collection of stories and poems about adventure for older children. Some of the beloved English Poet Laureate’s most charming poetry. This is the enlarged second edition. The adventures of Cruiser Trewsbury 2nd Mate aboard the Blackgauntlet running an epic race from China to London when the ship goes down. The adventures of the 2nd Mate aboard the Blackgauntlet running an epic race from China to London when the ship goes down. This is the fourth English edition. Illustrator(s): A. R. Thomson, R.A.
Mac and Robin spend the summer holidays mainly messing about in boats. Kay Harker is on his way home for the Christmas holidays when he falls asleep on the train and has a marvelous adventure. Kay Harker is on his way home for the Christmas holidays when he falls a sleep on the train and has a marvelous adventure. This edition has been corrected from the original manuscript. Kay Harker is on his way home for the Christmas holidays when he falls a sleep on the train and has a wonderful adventure. Kay Harker is on his way home for the Christmas holidays when he falls a sleep on the train and has a wonderful adventure. This edition has been abridged. Condemned to hang for a murder he did not commit, Ned Mansell is revived by his physician friends and smuggled on to a ship bound for Africa. An omnibus edition containing Dead Ned and Live and Kicking Ned. Young Jim Davis accidentally stumbles on a smugglers’ den and is shanghaied into their crew, until after a series of hairbreadth adventures he finally escapes. A comprehensive bibliography of the British poet laureate. The further adventures of Ned Mansell aboard a slave ship on the African coast. This volume actually contains two separate novels: Live Ned or The Reef-Tackle and Kicking Ned or The Skysail or The Trust-to-God. Charles Harding is shanghaied and sold as an indentured servant in America, then escapes to the Carribbean. The frontispiece was used as the dust jacket illustration. Charles Harding is shanghaied and sold as an indentured servant in America, then escapes to the Carribbean. Martin Hyde gets caught up in the Duke of Monmouth’s rebellion.